What car James Bond like to drive? A British car or a handsomely crafted grand tourer? Well in some episodes, James Bond drove the mighty grand tourers. Especially those made by BMW. But since last decade, Mr. Bond has been seen driving the British grand tourers. Even those are the handsomely crafted grand tourers. Well, whenever you go through the Bond movies, you meet plenty of British cars. And mainly they are from the renowned Aston Martin. But it is not like, Bond loved to drive Aston Martin. But it is more like Bond drove Aston Martin DB series a lot. Along with that, Bond even drove the Aston Martin Vanquish. It was 2001 when Vanquish was introduced. Actually, it was launched as a successor of Virage. Because Virage was getting older and older day by day. Soon after its launch, the car was featured in the James Bond: Die Another Day. Actually, the car that was featured in that film was a concept version of the Vanquish. But it helped to pave the market for the Vanquish series. This was the first generation of the Aston Martin Vanquish. It was marketed till 2017 and then it was discontinued. Soon in 2012, Aston Martin introduced the concept for the second generation Vanquish. This was certainly a redefined version with incredibly refreshed power and performing abilities. Even the shape and the interior of the car was improved drastically. And soon the Aston Martin Vanquish was surfaced in the market. Vanquish is available in 3 different models. First is the standard Vanquish, with a base price of almost $291,000. Then is the Vanquish Volante, a convertible version. And finally, there is Vanquish S, which is the most powerful model of the Vanquish series. First thing first. We are not James Bond. And therefore, we did not drive this beautiful Aston Martin Vanquish harshly. Though, we did test her on the rough tracks with hard driving skills. But we did not crash or scratch her. Well, we love speed and acceleration. And so did we liked the 5.9 L V12 engine. Normally it is rated at 568 hp of power with 465 lb – ft of torque. But an upscale version offers 27 more horses. We rode this Bella through the splendid roads of Europe. Though we were bound to abide by the speed limits. So for the speed testing, we took her to a motorsports enclave. Well, there Vanquish took 3.5 seconds to launch from 0 – 60 mph. And in no time she managed to reach the quarter mile. The best we got from her was 201 mph. The Vanquish was available in 6-speed automatic transmission. But in 2014, the transmission system was updated to Touchtronic 3 resulting in the 8-speed gearbox. The gearing was pretty fine. 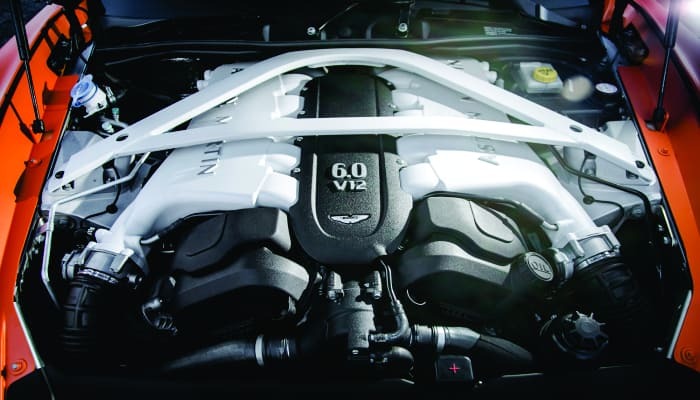 Well actually, it is that V12 monster inside the Vanquish that makes all your journeys enjoyable. On top of this all, you get a combined fuel mileage of 17 mpg. That is really incredible. A naturally aspirated V12 delivering such an impressive figure. Well, not just that, over the highways the Vanquish delivers almost 21 mpg. How does that sound? We would rather say, that it is actually the engine that is making this series still running. Otherwise, it would have been a part of the history. And this is all because the tuning does not deliver much power, like its competitors. Aston Martin has invested some good amount on the exterior designing of its cars. And in the same way, the Vanquish gets a brilliant shape. Vanquish gets the bright aluminum signature grille at the front. Along with that, it gets an impressive pair of projector lights. The DRLs are obviously LEDs. 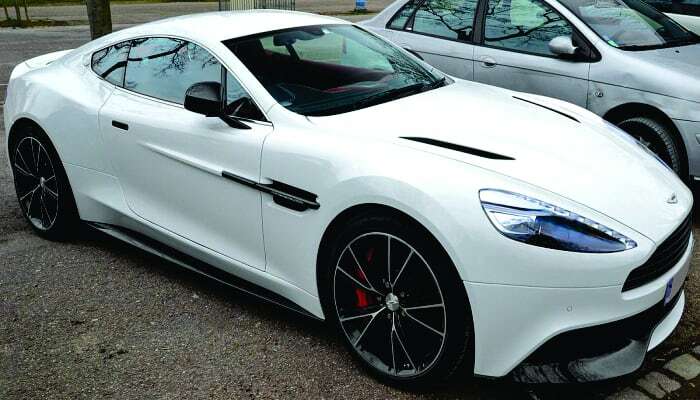 The standard Vanquish is available as a coupe. While a convertible version is available as Vanquish Volante. Well, the titanium bonnet has been designed to pave the path of air away from the car. It even designates the air to give a down thrust to the Vanquish. On the sides, you meet the fender vents. And of course, they are obvious in a car having the mighty V12 engine. Further, this diva comes with 20-inch alloy wheels, wrapped with the Pirelli P-Zero tires. There is plenty of carbon fiber used in Vanquish. Well, Aston Martin calls it the Aerospace Engineered Carbon Fiber. But that should certainly make Vanquish a space shuttle. At the rear, Vanquish gets a spoiler to enhance the aerodynamics. And so it does. Accomplishing 201 mph with an underpowered engine is certainly hard. But thanks to the aerodynamics of the Aston Martin Vanquish, that let this happen. The Aston Martin Vanquish is full of luxury and comfort. The interior is constructed of premium leather and loads of carbon fiber. Indeed, the Vanquish has a lot of carbon fiber in and out. Along with that, it has enhanced grained leather. It has leather and heated seats with sporty structure. Precisely, just the front seats. Further, the steering wheel and the armrest even have the leather on them. On top that, the Vanquish is quite spacious. It can easily accommodate 2 people including the driver. And none of them would feel like sitting in a jam-packed car. However, the Volante allows 4 passengers including the driver sit in. All of us are really exhausted on the roads with the noise of the traffic. But thanks to Aston Martin for installing the noise insulation layers in the windscreen. Well, it is really a fun to sit in the Aston Martin Vanquish. Once you go in, you would not prefer to come out of this car. See Also: Do Fancy Cars Help Businessmen Make Money? The infotainment system comes with the 6.5-inch touchscreen. It works with the Aston Martin’s custom AMI III system. Further, the system has plenty of space to save your songs and some other instructions. Well, navigation is obviously available. But it works well unless you stay in the UK. The Vanquish has Band and Olufsen sound system with 13 speakers. Further, the DAB radio and AM/FM radio are also available. And you can even listen to your own tracks by plugging in the USB. Along with these features, you get the trip computer, alarm, and immobilizer and center locking. Well, these are pretty much the security features of the Vanquish. And no doubt, there are really quite important. You do not have to spill the knobs to adjust the temperature. 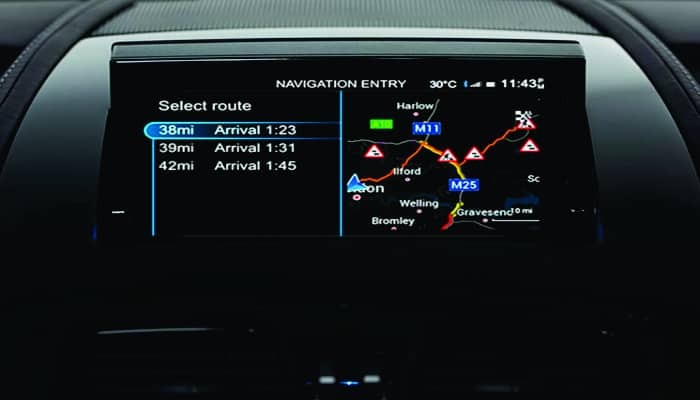 As the Vanquish has the automatic temperature control. 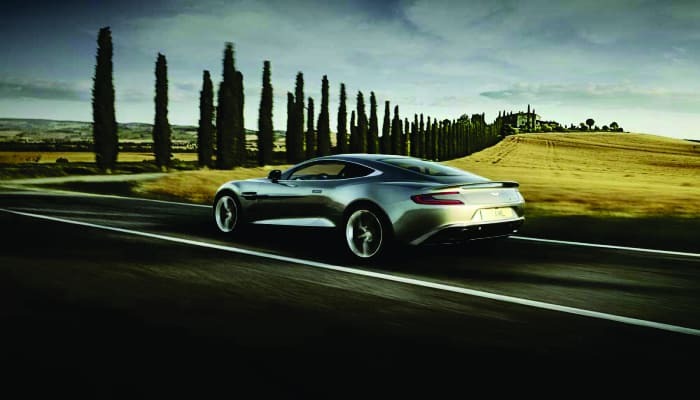 Indeed, it is yet another luxury in the Aston Martin Vanquish. 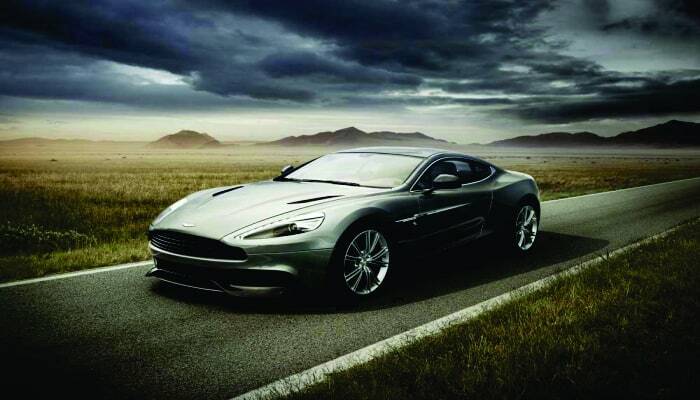 There is plenty of safety available in Aston Martin Vanquish. Like it has airbags in almost more than five positions. Certainly, the occupants are pretty safe in this car. Further, you get the pre-tensioners and digressive load limiter seat belts. In the column of active safety, Vanquish even gets a number of features. Like it has front and rear parking sensors, rear parking assist camera, cruise control and tire pressure monitoring. Overall, Vanquish is a pretty safe car to drive. 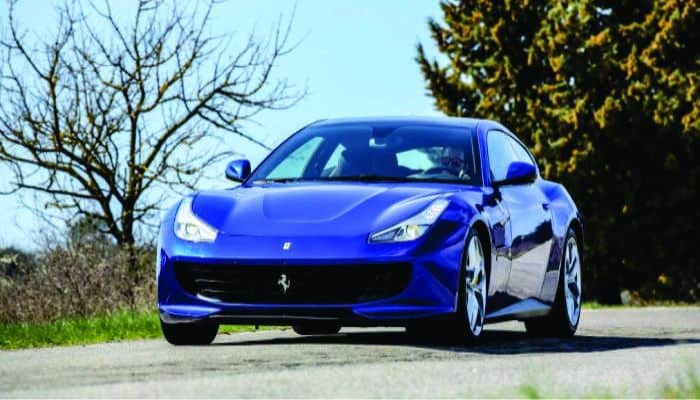 The Ferrari GTC4 Lusso is the competitor of the Aston Martin Vanquish. And guess what, Ferrari leads this competition. This is all because of the power and performance of the GTC4 Lusso. Aston Martin has to improve the performing capabilities of the Vanquish. Otherwise, rather than going for the Vanquish, folks might prefer going for the DB11. Meanwhile, here’s our review for Aston Martin Vantage.